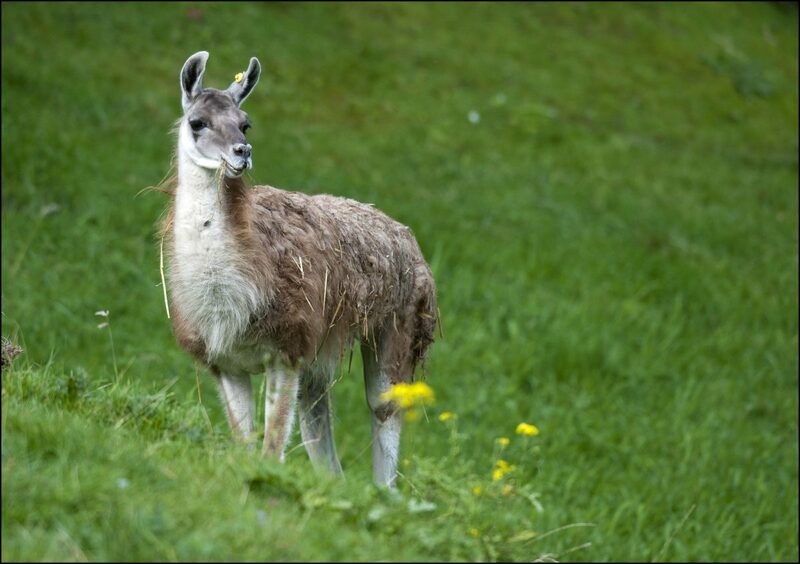 The Guanaco is a wild member of the Camel family, which is found in South America. 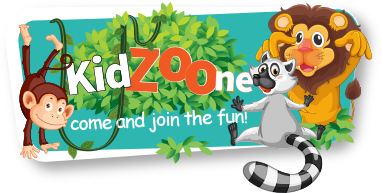 The camels originated and evolved in North America, and first appeared in the Eocene period 40-45 million years ago, spreading to South America and Asia as recently as 2-3 million years ago. 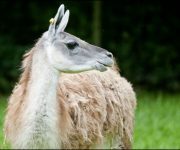 The Guanaco is a grazing animal that inhabits dry, open country, especially in mountain areas from South East Peru and Argentina, where it lives in small groups led by an adult male and containing up to 10 adult females and their young. 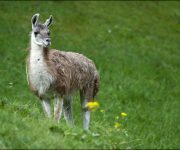 When a female guanaco gives birth, her newborn, known as a chulengo, is able to walk immediately. 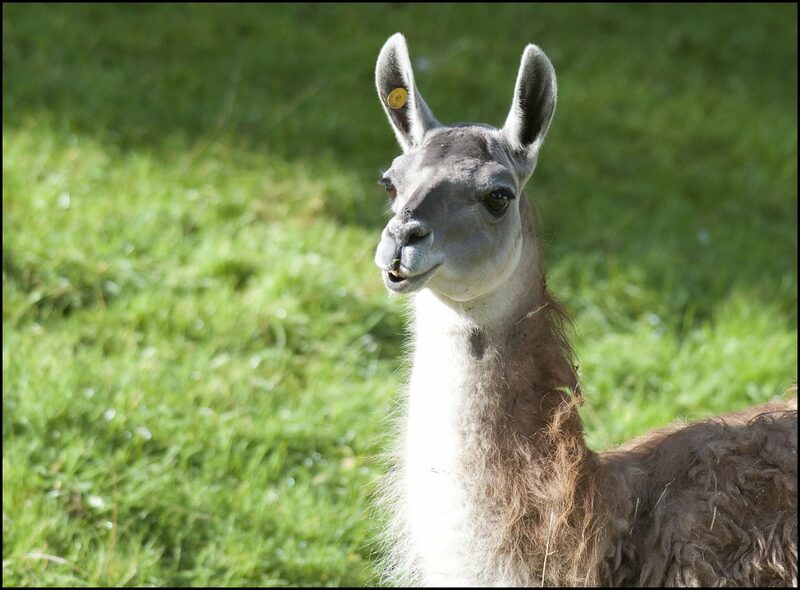 Chulengos can keep up with the herd right away as means of avoiding being eaten by predators. Although smaller than their Old World cousins, Guanacos show many Camel features, including long eyelashes to protect the eyes, nostrils which can close to prevent excess water loss and the entry of wind blown dust and a thick fleece to keep them warm. 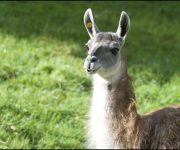 Guanaco populations have declined due to poaching and competition with sheep for food. 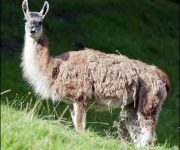 Some ranchers kill guanacos because they believe they transmit harmful diseases to sheep. 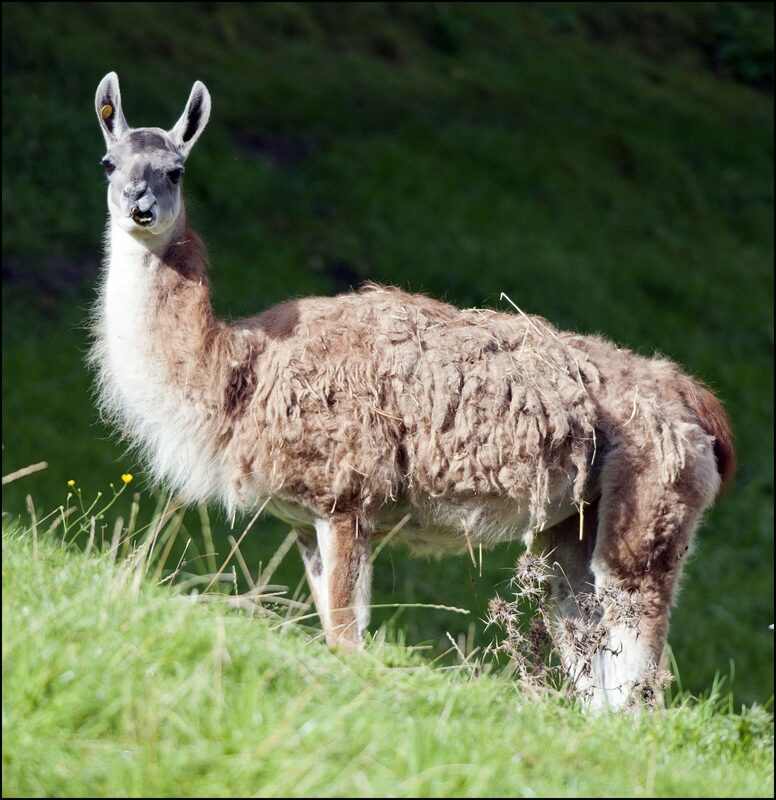 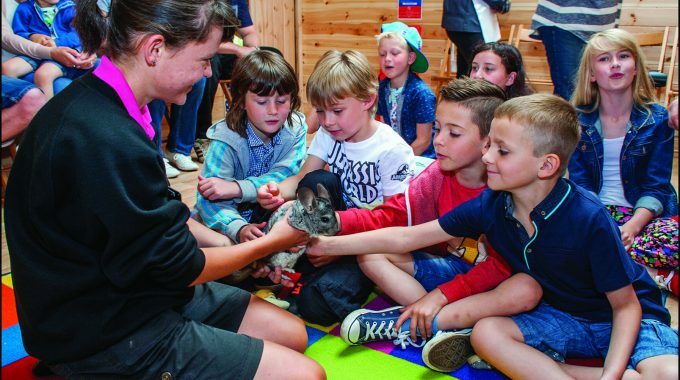 Diseases are usually transmitted in the opposite direction  from sick livestock to healthy, free-ranging guanacos.